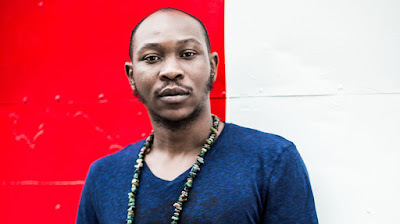 Afro beat singer and son of late Fela Anikulapo Kuti, Seun Kuti is set to perform at this year’s grammys. Seun who was nominated for Best World Music Album will perform with Malian singer/songwriter, Fatoumata Diawara, at the award’s Premiere Ceremony on February 10. Here’s a statement on the Grammys’ website which confirms this. The statement reads: “The 61st Grammy Awards will start off with sizzle as the lineup for the Grammy Awards Premiere Ceremony has been revealed, led by Mr. Boombastic himself, Grammy winner and current nominee, Shaggy as host.